Asad Ali Chawla s/o Aftab Ali Chawla embraced martyrdom when terrorist open fire on him. The incident occurred near eidgah chowk in manzoor colony. He was 25 years old and he was owner of a cement depo. 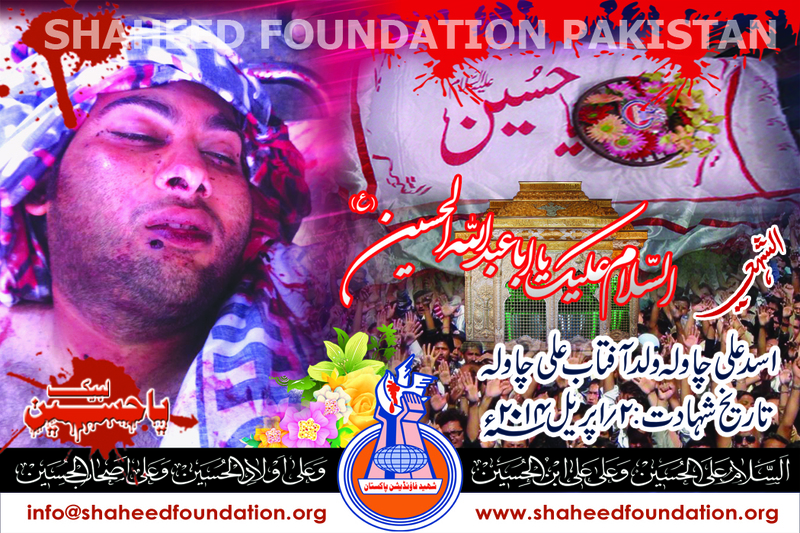 Please recite a fateha for Shaheed Asad Ali and Shohada-e-Millat-e-Jaffaria Pakistan.